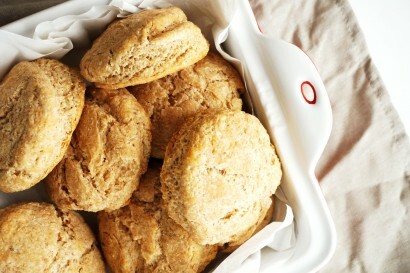 Simple Honey Whole Wheat Biscuits | Tasty Kitchen: A Happy Recipe Community! 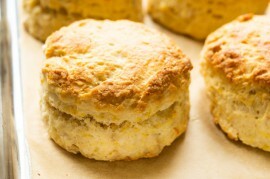 If you’ve never tried homemade biscuits, this is the place to start and the place to stay. These Simple Honey Whole Wheat Biscuits are flaky, soft, buttery, and absolutely perfect! Preheat oven to 325ºF and line a baking sheet with parchment paper. Set aside. In a large mixing bowl, combine dry ingredients: flour, baking powder and baking soda, and sea salt. 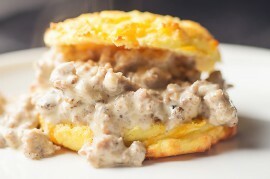 Grate butter into the dry ingredients and use your hands to stir it in, making sure it is evenly incorporated. In a small bowl or liquid measuring cup, whisk pure honey and kefir, and then pour into dry ingredients. 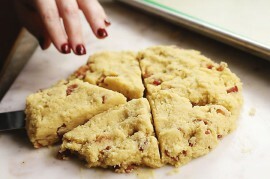 Stir to combine, and then use your hands again to gently bring the dough together. It will be slightly crumbly and a little dry, which is what it should be. Do not overwork the dough—stop kneading when the texture is even throughout and dough as whole sticks together. Lightly flour a clean surface and a rolling pin. Roll out dough until about 1 to 1 1/4 inch thick and use a round cookie cutter or cup to cut the dough into circles. 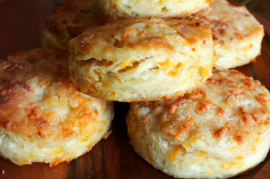 Place on the baking sheet with about 1 inch between each biscuit and bake for 23–25 minutes. Depending on the diameter of biscuits, this baking time could increase or decrease slightly. 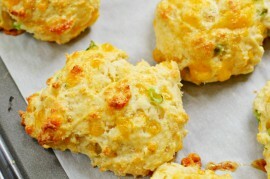 Keep an eye on the biscuits while they are in the oven and remove when edges are golden brown. Cool for 4–5 minutes before taking off the pan. Serve immediately, and store leftovers in an airtight container for 3–4 days at room temperature, up to two weeks in the fridge, or 1 month in the freezer. Enjoy! Note: If you don’t have or can’t find whole wheat pastry flour, use half whole wheat flour and half all-purpose flour.